Prison Book Program publishes “We the People Legal Primer” – a popular basic legal resource for prisoners. This comprehensive legal resource has become one of our most frequently requested titles. Containing such useful and basic legal essentials such as what to wear to a court appearance, key legal terms, and Post-Conviction Remedies. PBP gets over 100 requests specifically requesting this resource per month. We are making it available here for family and friends to print and send to loved ones in prison. 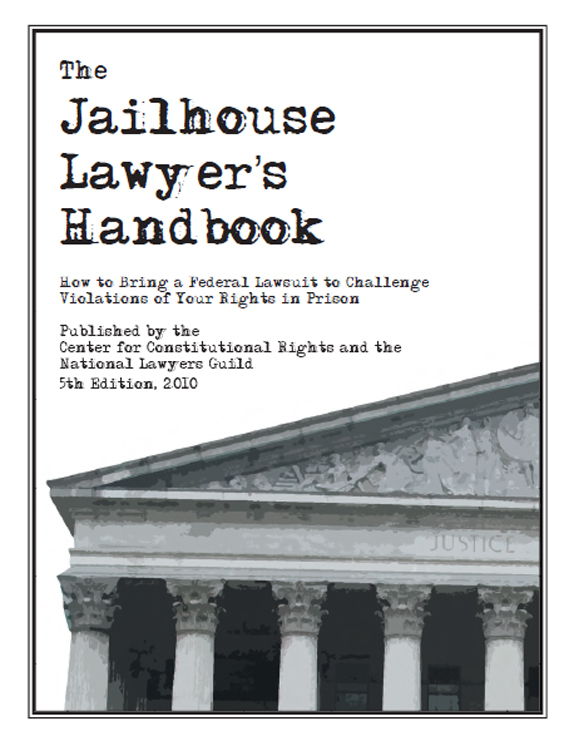 We also recommend “The Jailhouse Lawyer’s Handbook” published by The Center for Constitutional Rights and the National Lawyers Guild. This Handbook is a resource for prisoners who wish to file a federal lawsuit addressing poor conditions in prison or abuse by prison staff. It also contains limited general information about the American legal system. 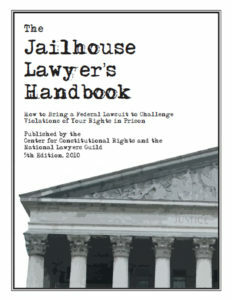 This Handbook is available for free to anyone: prisoners, families, friends, activists, lawyers and others. It is available as a free download on their website.